Oscillating sprinkler OS 5.320 SV 26451350 https://www.kaercher.com/ie/home-garden/watering-systems/sprinklers/oscillating-sprinkler-os-5-320-sv-26451350.html Oscillating sprinkler OS 5.320 SV with width coverage control and splash guard for convenient alignment. For medium-sized/large areas up to 320 m2. Adjustable flow control (0-max.). 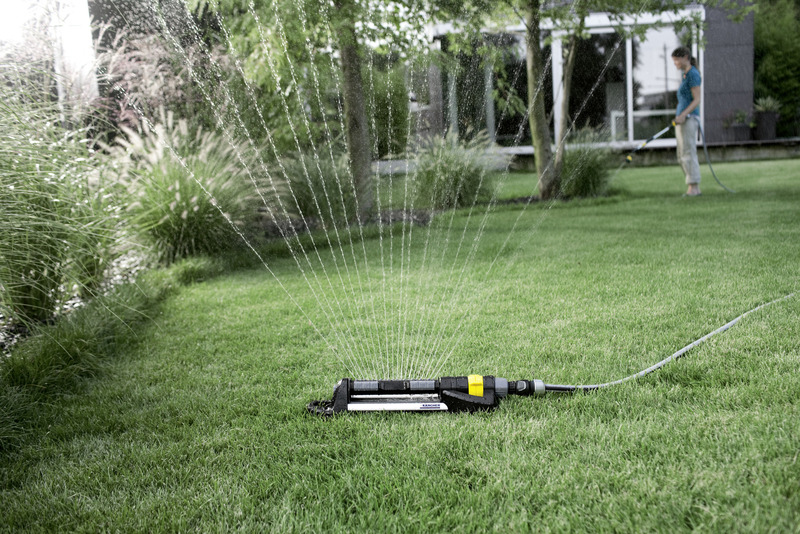 Oscillating sprinkler OS 5.320 SV with width coverage control ideal for watering medium-sized and large areas and gardens. Maximum sprinkler coverage 320 m2. Innovative sprinkler with flow control from zero to maximum. The sprinkler is equipped with spikes which can be detached when needed. 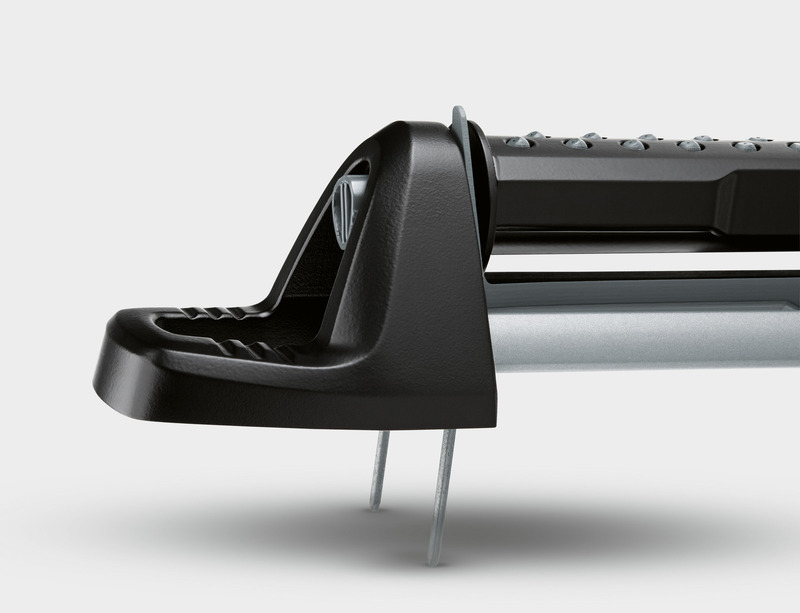 The new oscillating sprinklers from Kärcher are now even easier to use. 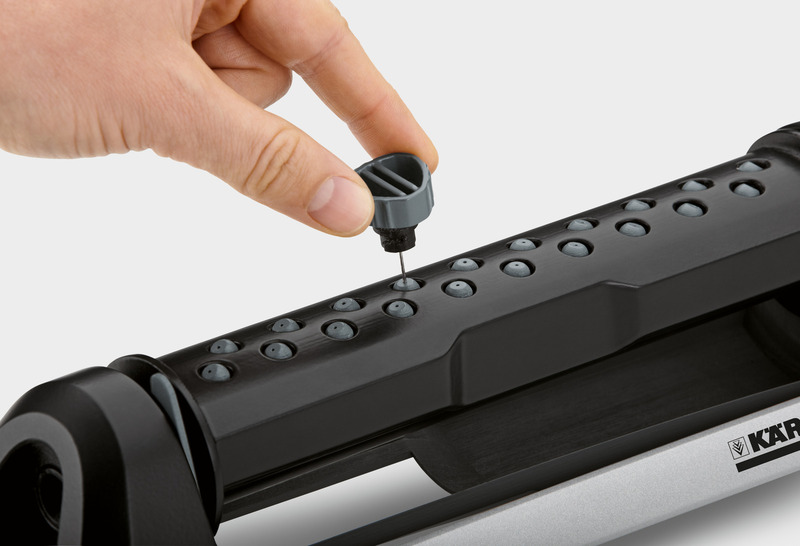 They feature integrated SplashGuard protection for convenient positioning and alignment without getting wet. 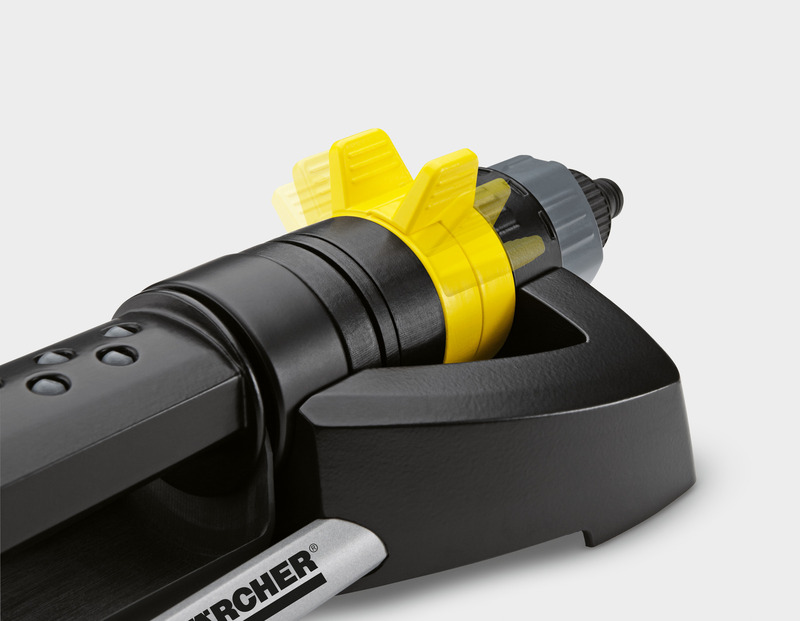 Kärcher sprinklers feature the tried and tested click system and are easy to connect to garden hoses. Watering with Kärcher is the smart way to water! 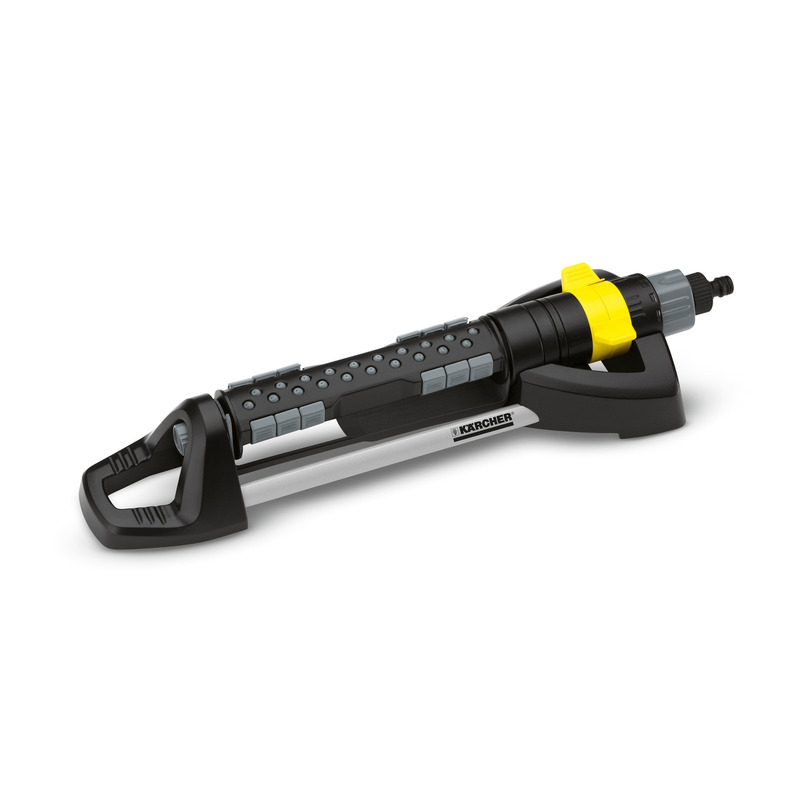 Oscillating sprinkler OS 5.320 SV is rated 4.2 out of 5 by 6. Rated 1 out of 5 by NeilL from Packed up after 3 days Bought this for much better coverage than a standard sprinkler which it delivered, for 3 days. Customer services useless and this returning customer is very unimpressed. Rated 4 out of 5 by Kevinskibb from High quality Quality product. You will need a high pressure supply to get anywhere near the high coverage figures quoted.